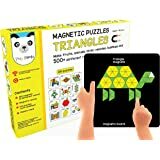 Amazon's Choice for "gifts for kids boys"
Sold by Play Panda (4.8 out of 5 | 136 ratings) and Fulfilled by Amazon. Gift-wrap available. 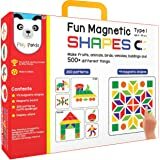 Kids Can Let Their Imagination Go Wild, By Arranging 400 Circle Magnets On The Magnetic Board. They Can Make Fruits, Animals, Birds, Vehicles And 1000S Of Different Things. Magnetic Puzzles Is An Excellent Imagination Building And Creative Tool. It Cultivates Problem Solving Skills In Children. It Improves Their Geometric And Spatial Understanding. Kids Pick Up, Pinch And Grasp Pieces And Move Them Around. This Leads To Fine Motor Development And Hand-Eye Coordination. The Set Includes A Booklet With 200 Patterns To Help Get The Kids Started. The Real Magic Happens When Kids Start Creating Their Own Things. 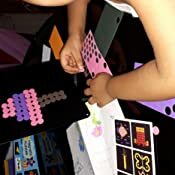 Kids Can Display Their Creations Using The Display Stand In The Kit. When Kids Display Their Creations It Gives Them A Confidence Boost. Magnetic Puzzles Is Suitable For Both Boys And Girls. 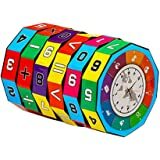 It Promises Hours Of Fun For Kids Across Different Age Groups. Children Can Play In Groups As Well. 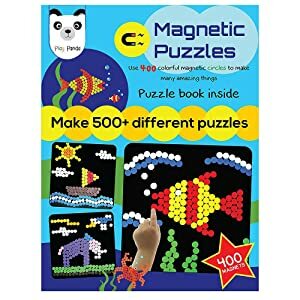 Each Set Includes 400 Magnetic Circles (10 Colors, 1.5 Cm Diameter), A Magnetic Canvas (23 X 23 Cm), A Puzzle Book With 200 Puzzles, Display Stand, A Magic Seal Pouch To Store The Magnets. 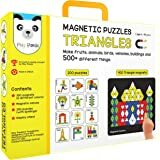 Sold by Play Panda and ships from Amazon Fulfillment. Separate the magnetic pieces. Go through the pattern booklet to get yourself started, its that easy. Create animal, bird and beautiful abstract patterns on the magnetic canvas. Use the wooden stand and set the canvas like a showpiece. Small Parts !! Not Recommended For Kids Below 5 Years Of Age. Spatial And Motor Skills Development. 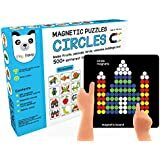 Use 400 Colorful Magnetic Circles To Make Birds, Animals, Vehicles, Objects And Many Amazing Things. 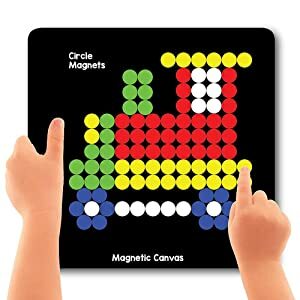 There Is A Magnetic Canvas Inside On Which The Kids Can Make Hundreds Of Different Patterns. 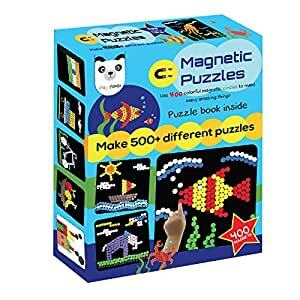 We Have Given A Puzzle Book With 200 Puzzles To Help The Kids Get Started. 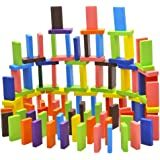 This Is A Perfect Toy For 1-2 Kids To Spend Their Time Indoors Exploring And Developing Their Creative Skills. The Toy Is Engaging For Both Boys And Girls. It Makes An Amazing Birthday Gift. 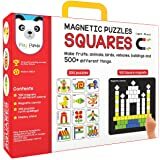 Magnetic Puzzles Is An Excellent Imagination Building And Learning Tool. It Cultivates Problem Solving Skills In Children. It Improves Their Geometric And Spatial Understanding. Kids Pick Up, Pinch And Grasp Pieces And Move Them Around. This Leads To Fine Motor Development And Hand-Eye Coordination. When You Display Your Children'S Creations It Gives Them A Morale Boost And Helps Build Their Confidence. The set includes a booklet with 200 Patterns to help Get The Kids Started. The real magic happens when kids start creating their qwn things. 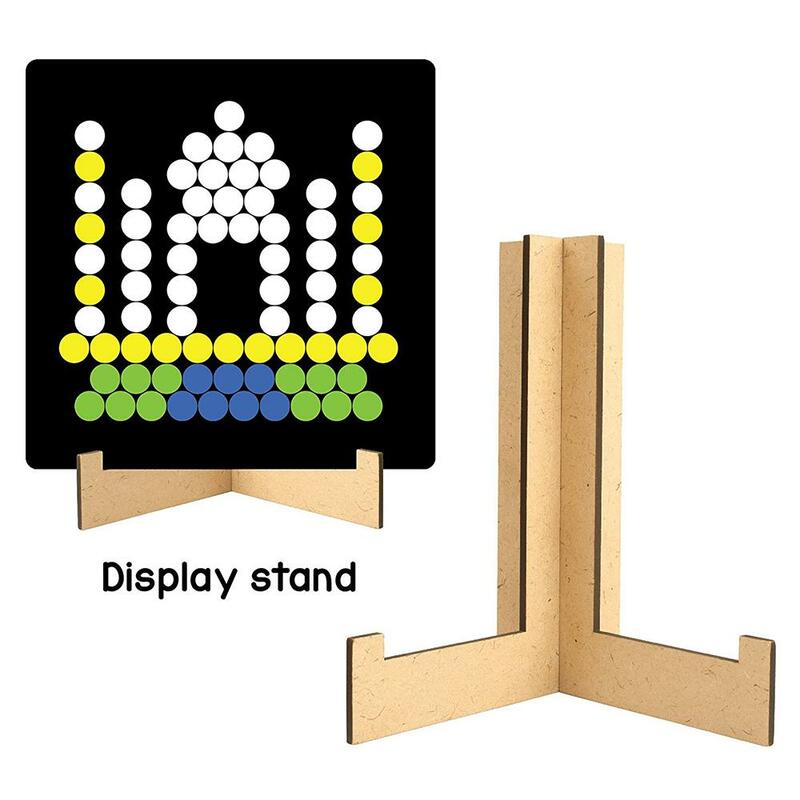 kids can display their creations using the display stand in the Kit. When Kids display their creations it gives them a confidence boost. Decent but could have been better. 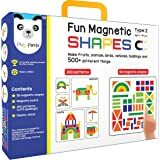 Magnets are actually some kind of foam with a magnetic strip glued at the back. Wooden stand displayed on the box is different from what we get inside. Canvas could have got some sort of protective covering over the edges to prevent it from getting damaged soon. But idea behind the game is good. This is a good creative product. 4.0 out of 5 starsCreative and enjoyable however very small board with poor magnetic power. 1) The size of the board is really small. Its an 8 square inch board. At least a square feet is minimum for one to enjoy it. 2) The magnetic strength is really poor. A gentle tap on the board dislodges a few of the magnets. The magnets or the board should have had more magnetic force. It is still enjoyable and my 5 year old is making it worth it. I just wish that these 2 points could be improved upon. 1. Quality is cheap. Colourful foam sheets have been pasted over cheap quality magnetic sheet. 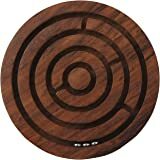 And circles are engraved, even the sides are not cut properly! The black board is also not strong enough. 2. Nine colours were sent instead of ten. White is missing. 3. The box is big, but half of it is filled with another red board. Packaging is a fluke. 4. Should have been Rs 250 max, but I paid Rs 429. MRP is Rs 499. There are better toys to engage your child. I got for a 6 yr old girl. Very tedious to separate all the parts, wish it had come already separated. There are too many tiles, and takes away the want to use the game, because of the time it takes just to break each tile off and make it ready to use! I am writing this review after 5-6 months. Very good product. 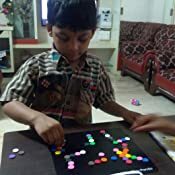 My 5 year old daughter loved it and played it for quite long time atleast for 3-4 months without break. It solved the purpose of keeping her busy and it's really value for money. 4.0 out of 5 starsAmazing gift for increasing the creativity. I have gifted this to my sisters. This very playful and helps kids in improving their creativity.Even the kit was tucked good in the box. Even the parts were of good quality. The stand which was given was also made of good quality and I'm satisfied with the overall quality and concept of this toy. 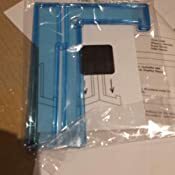 Its a out of the box product, you need not assemble anything to start playing. And Amazon delivered on time.